You will have to take special care and attention when selecting the perfect wedding ring for your partner as wedding rings reflect the eternal love and admiration you have for your better half and it is a symbol of your steadfast devotion and fidelity. The wedding rings have a lot of significance as it is a reaffirmation of the solemn vows and pledges you make at the wedding ceremony. Please do not forget that a wedding ring is an important part of any wedding and it has to be carefully preserved as a constant reminder of your bonds of matrimony. In fact, you are expected to wear the wedding ring for the rest of your life on your left hand ring finger because it is said that the vein of this particular finger is directly related to the heart. The first thing you will have to decide is the type of metal you need for your partner’s wedding ring. Wedding rings are available in a variety of metals. 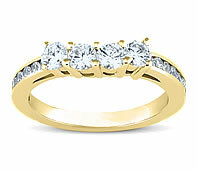 But it is generally believed that for men hard metals such as platinum and yellow gold are the ideal ones. If you are searching for a wedding ring for your bride Novori Jewelry can make rings in white gold, yellow gold and platinum – all of which will look elegant on the bride’s finger. Make it a point that the wedding ring style you choose for your better half blends with his or her lifestyle and personality. At Novori Jewelry wedding rings are available in different styles - classic, art deco, antique, Celtic and a full selection of modern-day styles. 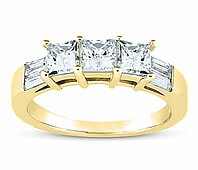 The most popular choice for wedding rings has always been diamond rings – which everyone can afford. There is a wide price range for diamond rings depending on the 4 Cs -carat, clarity, cut and color. If you are not able to afford the price of a diamond ring, you can always select an emerald, sapphire or ruby instead of diamond. Novori Jewelry has thousands of certified diamonds to fit any budget. Call us for help select your perfect diamond toll free at 1-877-877-4141. It is important that the wedding ring you choose for your partner match the engagement ring since they will be worn beside each other. Most ring styles come in matching pairs so it is easy to find what type of wedding ring that would best pair with the engagement ring. You can always seek our expert advice at Novori if you need help or a custom ring made. Needless to say, presenting an exotic diamond ring to your better half will surely grab the attention of all wedding guests. When selecting your wedding ring, the quality of the stone and the metal should be your prime concern. You are selecting wedding ring that will eternally symbolize your love and commitment to your married life and Novori Jewelry understands the importance of this purchase. 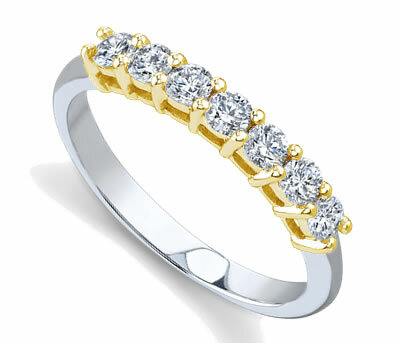 Novori is the place where you can you can buy with confidence the wedding ring for your better half. We have a wide collection of engagement rings and wedding rings to suit every taste and budget and special care is taken to ensure that each engagement ring or wedding ring is aesthetically designed using the highest quality diamonds and precious stones set in immaculate precious metals.